First action of the full treatments the water peeling hand-piece (WP). This application is the faster and effective way of face and hair rejuvenation with accelerated microscopic droplets delivered to the skin. The surface layer of skin with impurity and ageing effects are carefully removed. 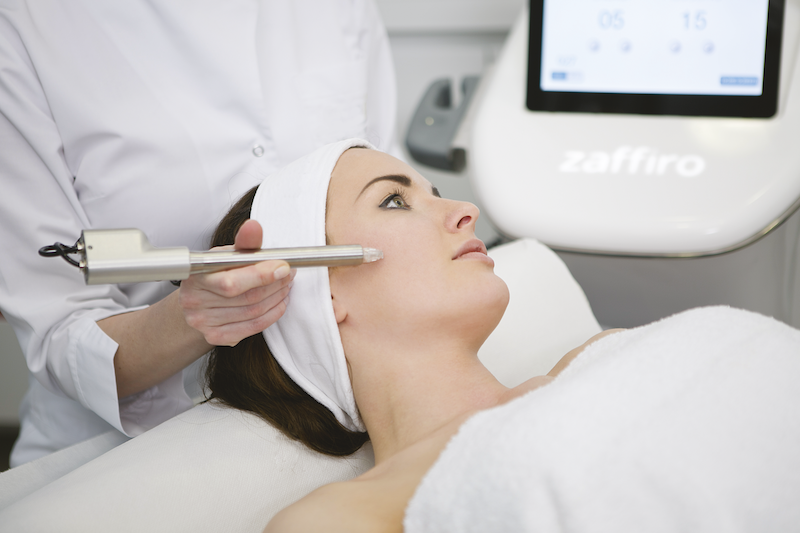 At the same time skin is effectively moisturized and, immediately after the first section, the skin is fresher, cleaner, tonic and ready to receive the thermolifting treatment or any other face rejuvenation treatment. During the aging process, skin cells decrease their activity and epidermis loses its thickness and elasticity. 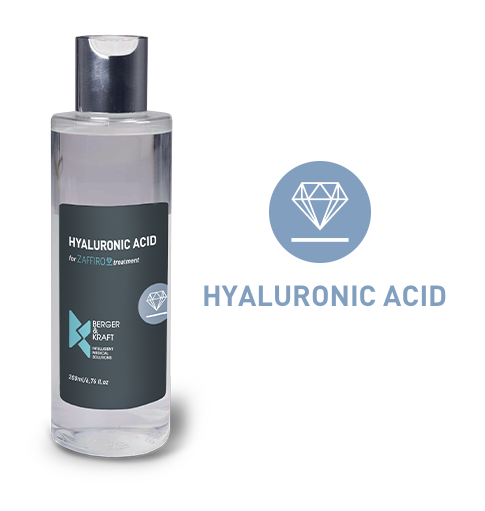 Waterpeeling Hyaluronic Acid contains a high quality hyaluronic acid, with a low molecular weight and a boosting effect on the anti-aging properties. This highly technological HA distributes better into the skin, reinforces dermal structure, improves epidermal and cell renewal and helps to increase glycosaminoglycans synthesis, epidermal elasticity, turgor and moisture. Waterpeeling Sensitive Skin is formulated with a multitude of ingredients from natural plants extracts that helps to restore and maintain skin protective barrier. Soothing, calming and emollient properties of Aloe Vera help to restore skin balance. Red and brown algae extracts maintain microcapillary integrity, sooth sensitive skin, increase skin elasticity and resiliency. The presence of peptides helps to reduce skin redness and reinforces skin structure. Waterpeeling Whitening is specifically created for dark or unevenly pigmented skin to light up its appearance. It is formulated with innovative and safe skin lightening agents which decrease melanin production into skin cells, helping to reduce blemishes and hyperpigmentation. As melanin overproduction causes anaesthetic colorations, these advanced peptides, combined with kojic acid and vegetal extract, act on melanin production and transportation of enzymes, preventing age-spots and hyperpigmentation changes. The formulation is enriched with arginine, a natural moisturizing aminoacid, and panthenol, a soothing agent. Waterpeeling Hair is specifically created to reinforce hair and stimulate its growth. It is formulated with innovative natural ingredients, such as cell communicating actives derived from fresh sprouts of mung bean and red clover. Its principal function is to stimulate positive growth factors and genetic messages, working on promoting both the anagen and telogen phases. The formulation is enriched with growth factors, stimulating cell renewal, phytic acid and carbocysteine which increase mechanical strength of hair fibres and reduce their breakage. Waterpeeling Acne is a lotion specifically formulated for acne-prone skin, targeting on reducing acne signs and scars. The presence of phytic acid has a light exfoliating action, deeply purifies the skin and regulates sebum production. It helps to prevent acne scars. The royal jelly extract restores sebum balance in acne-prone skins.